Editor’s note: Jake Buckler thinks he’s going to get away with this. He needs to sleep with one eye open. What do you think about Netflix’s suggestion engine? Does it truly negatively affect your streaming experience? I’m a streamer who neither loves nor hates Netflix’s suggestion engine. The thought of this alone sends my colleague Stuart Sweet into hysterics. You see, he hates the streaming service’s suggestion engine… I mean he really hates it. Somewhere along the line, the streaming service’s bots flagged poor Stuart as a fan of “independent movies featuring a strong female lead.” He seems perpetually saddled with this label, at least in the Netflix world, and cannot escape the ensuing suggestions. It was Stuart’s frustrations with Netflix’s suggestion engine that inspired this blog post. Stuart’s mislabeling as a lover of independent films with strong female leads sent me on a trip down a pretty strange rabbit hole. It’s a highly technical Wonderland filled with strange terms such as algorithm, “Restricted Boltzman Machines (RBM),” “matrix factorization,” and “collaborative filtering.” I could try to explain what all of those terms mean but there’s only so much of a masochist. Things such as this are best described by Stuart, himself. Since he’s not watching independent films with strong female leads, he should have plenty of time to write something about it. Despite his protestations to the contrary, Stuart must have watched one or more movies that bear at least a passing resemblance to an independent film with a strong female lead. Each time he did, Netflix stored this information and flagged it as a preference. Somewhere along the line, Stuart also must’ve rated one of this movies using Netflix’s ranking system. The more feedback he provides to Netflix’s system, the more its bots use this information to predict what he’ll like. I’m sure Stuart is smart enough to realize that Netflix’s bots are assessing his movie-watching preferences using his review data and comparing it to his rental and streaming activity data. Stuart’s issues with Netflix’s overall operating system go beyond its suggestion algorithm. According to him, it keeps asking him “who’s watching” even though there’s only one profile on the account. It seems he’d appreciate it better if Netflix simply skipped this unnecessary step, and I see where he’s coming from on that one. He also despises that Netflix promotes its poorly-suited-to-his-tastes original content over suitable content, and classifying things “new releases” when the programs are more than a year old. Personally, I don’t see what the big deal is. I love Netflix, but perhaps my enjoyment of the streaming service stems from the fact that I’m able to completely ignore all the falderal on the screen and simply zero in on what I want to see. I often read about the shows I’m interested in ahead of time and watch the trailer. This is how I got interested in Stranger Things, The OA, and Bloodline, for example. I also don’t bother to rate or rank any of these shows after I watch them. 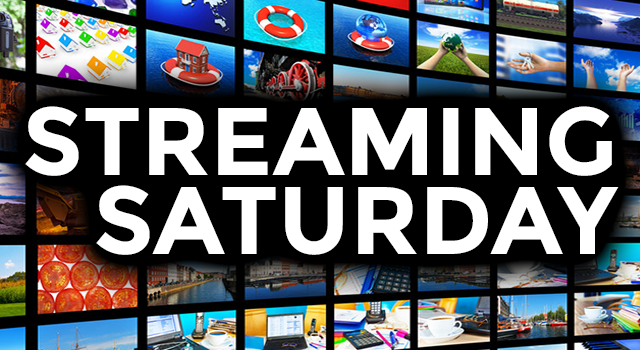 I’d much rather share my opinions in future Streaming Saturday articles here on the Solid Signal blog. Bottom line: Is Netflix’s suggestion engine broken? Maybe. Should you care? Not really. The benefits far outweigh the drawbacks from this streaming service.